Web-based technologies have been advancing at a rapid pace. Many of the latest disruptive technologies in different industries exist because the internet made them possible. These five industries are on a course toward full disruption. They will affect the way you live. You can thank the seismic change in internet and mobile technologies. For decades, cable companies enjoyed a monopoly over television entertainment. Once DSL data transmission speeds made it possible for people to purchase high-speed internet and start streaming video entertainment via another “pipe” into the home, cable companies realized they needed a new game. Cable companies bundled TV and internet packages. This successfully kept most cable TV customers happy. Who wants to sign up for a new company when you can get both TV and high speed internet through a single provider? However, with high speed cable internet came the influx of online services that let you stream high-quality entertainment. The quality of services like Netflix, Hulu, and now YouTube TV became so good, in fact, that more people started dropping the “cable” part of their cable and internet package. When you can watch TV on your computer, what’s the point of cable TV? As streaming services overcome these technical limitations, cable companies then turned to the government to put a stop to the creeping competition. 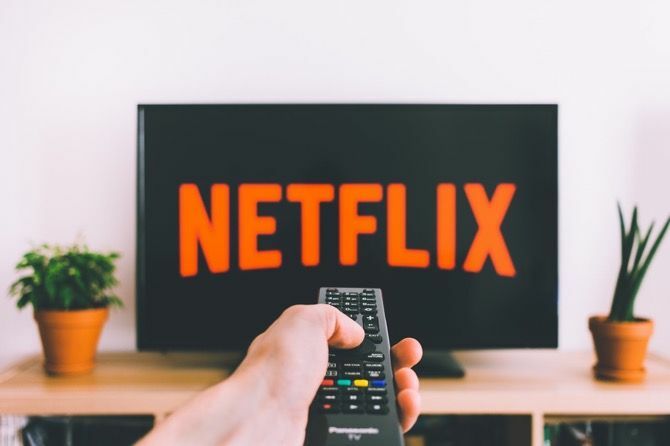 As Ben explained in his overview of net neutrality, cable companies went after the laws that prevented them from slowing down traffic from competitor entertainment services like Netflix or Hulu. Under heavy pressure from the cable television industry, the FCC eventually repealed net neutrality laws at the end of 2017. Despite congressional efforts to overturn this repeal, the net neutrality rules officially came off the books on April 23rd, 2018. At this point, things are looking bad for the future of online entertainment streaming services. It’s only a matter of time before cable TV monopolies make a move to recapture control over the streaming entertainment domain again. Is this the end of the story? The only reason cable companies are winning this battle is the backbone technology. The ability to stream shows and movies depends upon the large bandwidth provided by cable internet. Up until recently, there was no other technology available that could challenge that. Communication companies continue building a fiber network infrastructure that could offer consumers an alternative. But the growth of that infrastructure is slow, and availability remains limited. However, there is a glimmer of light. 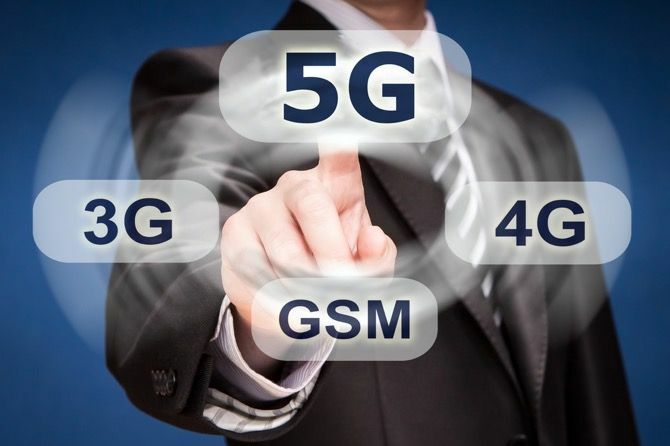 In 2019, the mobile communication industry is set to release the next generation of internet data: 5G. The next time you’re out in public, take a look at how people are already using their mobile devices. Now that most mobile carriers offer unlimited data packages priced on par with most cable internet packages, making the transition to a full mobile internet solution will be seamless. The only thing holding most people back from using the 4G internet at home is bandwidth. But when 5G (and later) mobile internet technologies overcome that limitation, services like YouTube TV and other live TV streaming solutions will fill that market. The need for a cable internet package will disappear entirely. Once people can switch over to a wireless internet capable of transmitting the same quality and amount of data as cable internet, cable television will become an archaic concept. This rise in the competition will mean the freedom and flexibility of choice for you. The traditional method of buying a car is to drive around to local dealerships and search for a car that strikes your fancy. In the process of doing this, you’re usually accosted by a car salesperson whose job is to draw you inside the dealership where they can make a deal. The internet brought more knowledge to the consumer. Before heading to the dealership, car buyers would browse sites like Kelly Blue Book and Edmunds. This allowed consumers to walk into a car dealership fully aware of what a “good price” for a particular car looked like. Unfortunately, you still had to go into the dealership and negotiate with a salesperson, as she tried to convince you why all of the bells and whistles on this particular car justify a higher price. However, more services are cropping up that are bringing Amazon-style consumerism into the auto sales industry. Carmax: Lets you search an online inventory of almost 200 locations across the country, set a fixed price, and have the car delivered to a local Carmax location. 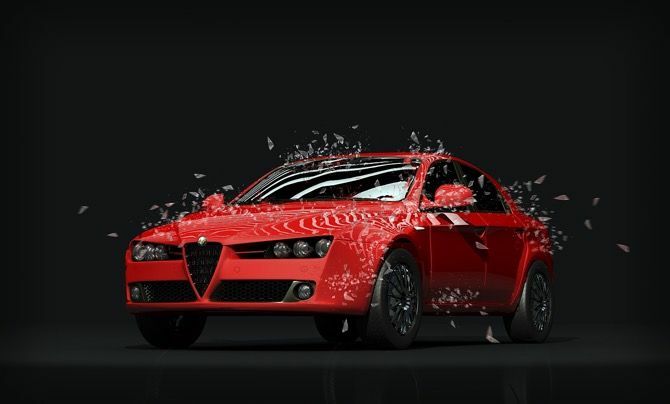 Vroom: Shop for a car online and have it delivered directly to your home or a nearby location. You can even apply for financing. NowCar: Pick a type of car or truck you want, add or remove features, set a budget, and browse. Surprisingly, delivery is free. Carvana: You can browse, take a virtual test drive, and get the car delivered to your home. They even allow a “seven-day test own” so you don’t have to keep a car you’re disappointed with. These services bring the convenience of click-and-deliver Amazon-style shopping to the car buying experience. Even with a delivery fee, paying a premium for the luxury of avoiding a car salesperson would be worth it. Unfortunately, as these services become more popular, it could lead to the end of physical car dealerships and remove the need for on-site sales staff. This means you’ll be able to shop for a car in your pajamas, and never have to haggle over a car purchase again. It’s clear at this point that services like Uber and Lyft are disrupting the taxi service industry. 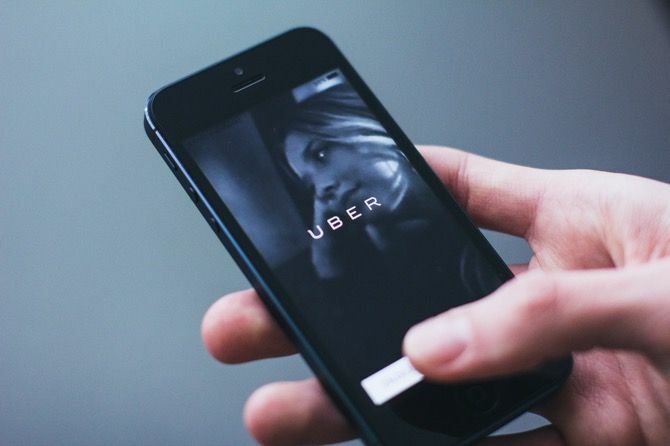 Even people who might have been nervous to use a taxi service, or confused about how to call or find one, are the same people who feel completely confident opening up an app on their phone and summoning an Uber ride. Once public confidence with these services became mainstream, adoptions rates grew rapidly. In 2017, Forbes reported that Uber had over 40 million active monthly riders, and an app install rate of at least 150,000 new installs a day. The collapse of the taxi industry has already started. Just a year earlier in 2016, Business Insider reported on San Francisco’s Yellow Cab filing for bankruptcy. It also reported in 2017 that taxi rides in New York City over the previous twelve months dropped 11 percent. Curb: This is the taxi industry’s answer to public demand for convenience and ease-of-use. The mobile app works in 60 cities across the country and allows users to quickly request a professional taxi or for-hire car service. Via: An interesting, new take on commuter ride-sharing. Via drivers follow a route defined by the company, not by drivers. The algorithm creates a stress-free commute for as many people as possible, and a relaxed driver who is working for an hourly rate, not racing around to pick up as many fares as possible. Hitch-a-Ride: This app lets people offer a ride to anyone along their daily commute, at a fraction of the cost of a taxi or other services. When you boil this technology down to its basics, these are simply services that make use of the mobile internet for ride-sharing purposes. Because of this, ride-sharing apps are likely to multiply as time goes on. This may lead to a full collapse of the taxi industry, but what it means to you is that in many communities it may no longer be necessary to even own a car. This will not only bring many people newfound freedom, but it could also contribute to a better environment. Cryptocurrency is a digital currency built upon the foundational technology known as a “blockchain”. The concept of a blockchain was first developed by someone going by the pseudonym Satoshi Nakamoto in 2008. The technology can transmit a digital unit of currency via a peer-to-peer system. Multiple nodes of a network (miners) validate every single transaction in the system, with every transaction stored in a public ledger. The validation introduces a level of security for both the sender and the recipient that surpasses most existing transaction security protocols. But the most compelling, disruptive elements of the technology is that it removed the need for a “middleman”—such as a bank—serving as the manager of those transactions. Individuals own “wallets”, which serve as the endpoints of transactions. The unit of currency used in each transaction is a Bitcoin (or another cryptocurrency), which holds its own value based on the market demand for it. 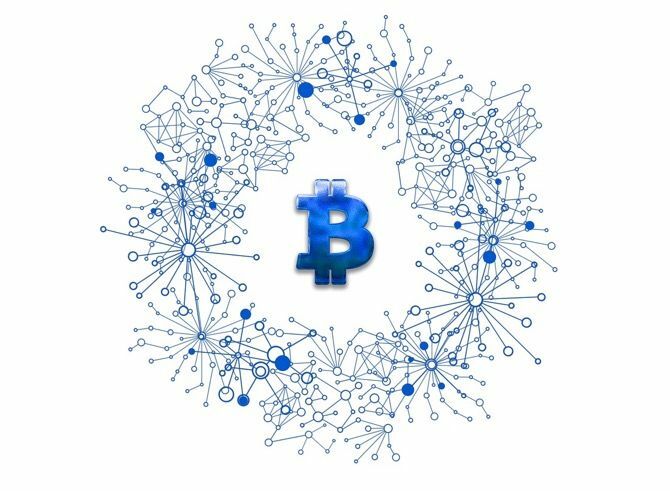 If the use of blockchain is adopted by the mainstream as a secure method of sending and receiving money, how will that blockchain disrupt the banking industry? It’s that last point that many observers disagree on. Many say the major issue with cryptocurrency is that it’s susceptible to hacking. Also, since many users store their cryptocurrency “wallets” in exchanges like Coinbase, the danger of theft from a hack is just as high. The theft of Bitcoin from Mt. Gox is a perfect example. At the beginning of its history, many people were saying that Bitcoin could mark the end of the banking industry. The reality is that cryptocurrencies may only change how people look at currency, and how currency is valued. Outside of the banking industry, small companies are building new products on top of blockchain technology. This has birthed a whole new area of startups known as an Initial Coin Offering (ICO), analogous to the Initial Public Offering (IPO) in the stock market. Companies are developing use cases for their own proprietary “coins” for uses like gambling and real-estate transactions, and using the blockchain to provide customers with more secure methods to use their services. Yes, this may lead to new forms of currency that hold value all on their own, but the bigger news is that entirely new products and services will be launched in coming years that will allow self-enclosed economies to grow and flourish. Imagine a virtual world where a “virtual coin” holds as much or more value than gold, and those coins can be exchanged between users of that virtual world in a transaction that’s just as secure as one that took place between two bank accounts. This is an exciting new area of technology, and it’s only in its infancy. The first is the row of self-serve kiosks without a clerk available to scan items for you. It’s clear that grocery stores understand that long lines at the checkout are the number one complaint from customers. It’s this fact, combined with the demand for more at-home-delivery options like Amazon, that many new companies are now offering grocery-delivery service. My wife and I first noticed one of those green Shipt shirts while we were waiting in a long checkout line at Meier. The alien space ship logo caught my eye, so I Googled the brand. When I learned that it’s a grocery-shopping service, I started wondering why we were wasting our time walking through the grocery store for an hour or two every week. We could just have someone else do it for us. Shipt: For a yearly or monthly membership fee, you can have any grocery orders over $ 35 delivered to your door for free. There’s a small service charge at checkout. Peapod: This grocery delivery service also offers free delivery of groceries for an annual fee. The service remembers past orders and there’s also a “specials” area for saving some money. They also double manufacturer coupons. Instacart: This same-day grocery delivery service has been partnering with major grocery chains, like Whole Foods, to offer delivery to loyal shoppers. Instacart is only available in major cities, and the service fee is from 5 to 7.5 percent of the total bill plus a delivery fee. For an annual membership, the delivery fee is waived for orders over $ 35. In our instant-gratification, consumer-based society, these services are becoming wildly popular. This popularity is also fed by the availability of mobile apps that make ordering groceries just as simple as ordering pizza delivery. In a strong economy, when families have more income available for groceries, paying a small fee to avoid spending hours in the grocery store is a very tempting proposition. This trend will likely lead to fewer customers in the grocery stores, and fewer cashier jobs for local communities. But on the upside, there will be lots of grocery delivery jobs! It’s never easy to predict how things will go in the future. But current technology trends in the areas of industry described above point to some very big changes in the coming years. These changes will result in more flexibility and convenience for customers. Unfortunately, it also means a dramatic shift of available jobs for workers, and the strong need for retraining and career adjustment. Predicting the future is hard, but the disruptive technologies in these five areas of our lives are almost mainstream. They will only evolve in the years to come.